Word clouds offer great value beyond sprucing up presentations. Learning and Development professionals can leverage visualization techniques such as word clouds throughout the ADDIE process to improve the quality of the products they deliver. 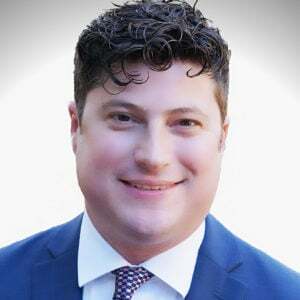 As the field of data analytics grows more entwined with the world of business, Learning and Development professionals have an opportunity to apply data-driven communication strategies to their own processes. One need not possess an advanced degree in data science or statistics to capitalize on analytical methods, particularly rather simple concepts such as visualization. Despite the intimidating sound of its name, visualization describes the process of organizing data or concepts as pictures rather than writing and figures. Note that this does not mean visualizations completely lack words and numbers. In fact, one might describe word clouds, the visualization method outlined in this article, as a word-based pictorial. A visualization does however replace long lines of text or verbal summary with the goal of conveying the same information in an appealing and concise graphical format. In essence, visualization embodies the maxim, “a picture is worth a thousand words”. Although dictionary definitions rarely describe concepts in sufficient detail, the Oxford entry for “word cloud” encapsulates it nicely: Word cloud – an image composed of words used in a particular text or subject, in which the size of each word indicates its frequency or importance. This simple but powerful concept allows one to use word clouds to both explore and present depending upon the situation. This means Learning and Development professionals can use them in a number of ways throughout the ADDIE process. Are you struggling to identify the root cause(s) of a given performance opportunity? Are you hearing multiple, or even conflicting, stories? Did the surveys and focus groups you conducted to uncover specific challenges create confusion and dissention rather than clarify the situation? If so, use a word cloud to zero-in on trending feedback. A gap or challenge as articulated by one person may not reveal much of value. However, trends offer greater reliability than one-off comments as they apply across a number of individuals with inherent differences. If certain themes continually appear in response to a learning professional’s inquiry, she can use a word cloud to identify them. How? Simply copy and paste text from survey and interview questions into any number of free online word cloud generators to create a graphic such as the one accompanying this article. The more respondents used a particular word, the larger it will appear in the graphic. 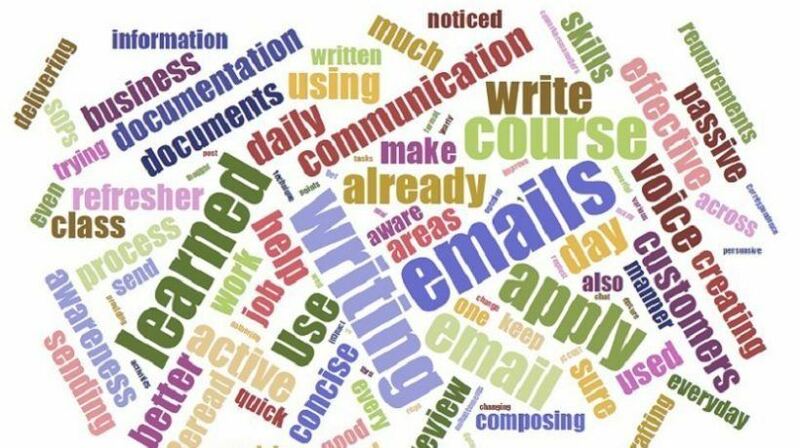 In the context of needs analysis, the word cloud accompanying this article reveals how a learning professional may narrow a vague request about a perceived gap in communication skills to a specific focus such as “writing” or “email”. Even better, the learning professional might use such a graphic to determine that a broad request for “communication training” actually calls for helping the learners write concise emails to customers. Learning professionals often address wide-ranging subjects that might go in any number of directions. An instructor-led class or eLearning about leadership skills might address hiring, coaching, delegation, performance evaluation, or other topics. Creating a word cloud from drafts of facilitator talking points or eLearning narration provides a quick focus check. For example, if a proposed leadership module should focus on performance evaluation, certain terms should appear more than others. A word cloud culled from this type of training might distort to terms such as “measureable”, “impact”, “results”, “feedback”, etc. If the word cloud does not reveal a high use of such terms, the training may lack focus and/or reiteration which would aid in retention. As learners sort through ever-increasing amounts of available information, tagging has assumed an important role in sifting through the noise. Learning professionals may use tags within learning management systems, article databases, and blog posts to identify content. Word clouds provide a painless way to create tags based upon a word’s frequency of use. Referring again to the word cloud included with this article, one might use tags such as “emails”, “writing”, “learned”, “communication”, “concise”, and “customers” to assist in searches. Level one open-ended survey questions offer a personalized level of feedback not available through Likert Scale questionnaires. Even more useful, follow-up interviews with a learner’s manager may reveal coveted instances of level three on-the-job application. Yet, despite their value, both approaches are labor intensive due to the need to manually sort through feedback. A word cloud may mitigate some of that work by identifying words and concepts that most resonated with learners and their manager respectively. If used for measurement purposes, the word cloud above suggests that participants who attended this particular communication course most remembered content about writing emails to customers, active versus passive voice, and editing (the words “review”, “drafting”, and “re-read” all appear in the cloud). Moreover, analysis-based and evaluation-centered word clouds will mirror each other in effective training solutions, meaning the learners best recalled concepts around which they had gaps in the first place. Word clouds provide a flexible resource that learning professionals may leverage across multiple facets of their job. They offer a unique way to analyze, design, develop, implement, and evaluate solutions in an easy-to-follow manner. Analytic concepts such as visualization needn’t remain abstract, specialized exercises, but instead, offer utilitarian value if one applies them creatively.